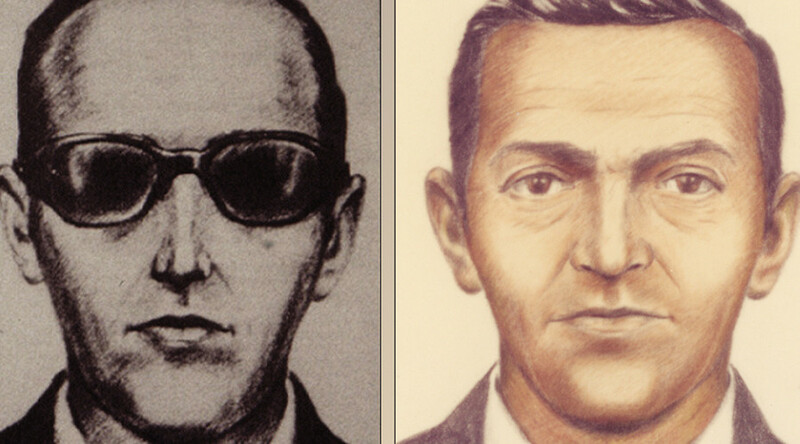 The tale of the world’s most notorious skyjacker, DB Cooper, has fascinated the world and frustrated law enforcement for decades but now, after 45 years, a group of scientists may finally have found the evidence needed to crack the case. On November 24, 1971, a man calling himself Dan Cooper hijacked a Northwest Orient Boeing 727 plane claiming to have a bomb in his briefcase. He demanded a refuelling truck for the plane to be waiting in Seattle airport, four parachutes and $200,000 (roughly $12.5 million in modern currency, adjusted for inflation). After refueling the plane and taking to the skies once more, the man - who was later dubbed DB Cooper - parachuted from the plane in a business suit with his ransom money and was never seen again. Some of the bank notes from the ransom money were discovered in 1980 but, despite interviewing all identified witnesses in the case and following up on a vast number of tips, the FBI gave up after 45 years of investigation, saying it had “exhaustively reviewed all credible leads" and opted to reallocate resources elsewhere. Now a new breakthrough comes one year after the FBI’s decision to close the case as a group of scientists called Citizen Sleuths have discovered tens of thousands of particles of rare earth minerals including Cerium, Strontium, Sulfide and titanium using a powerful electron microscope, on the tie the notorious skyjacker left behind on the plane. The unique combination of particles has led the team to believe that the mystery man might have been an employee or contractor working at Boeing, who were developing a supersonic transport plane in the 1960s and 1970s that was equipped with onboard television and radar screens that were unique for that time. The manufacture of these screens required such rare earth elements, which allowed the team to narrow their focus. “The tie went with him into these manufacturing environments, for sure, so he was not one of the people running these (manufacturing machines). He was either an engineer or a manager in one of the plants,” lead researcher Tom Kaye told King 5. The team of amateur sleuths were given unprecedented access to the FBI’s crime vault, the first time civilians have been allowed to do so in the bureau’s history. Before long, they had stumbled on this new discovery - which could soon prove to be the critical moment in cracking the case. As they are a civilian team, Kaye’s group are only focusing on the evidence rather than chasing suspects, but they have encouraged the public to join in solving the mystery of the world’s only unsolved skyjacking case by visiting their website and reviewing all of their findings so far.